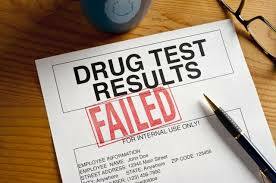 It’s been a long time coming to stop the rampant drug use which devastates the public welfare system in Texas; and to thwart it Senate gives thumbs up for Drug Testing for Temporary Aid to Needy Families. TANF, as the program is known became effective July 1, 1997 to replace Aid to Families with Dependent Children (AFDC) program, which had been in effect since 1935. The problem is not with the program itself; although many tax payers are of the mind that some are abusing the program and with good reason. As past years dictate, changes were brought forth by former President Bill Clinton who gave a time limit of 5 years for those who received the help. Notably, many who were eligible were thus so for years under old law. According to statistics, the new more effective program, provides poor people with money for food, clothing, housing and other basic needs, distributes about $90 million to more than 100,000 Texans annually. The amount of the payment depends on family size and income. One would be tempted to believe that the goal of the testing would be more concerned with people’s drug usage, rather than people not working. It is the premise that unless people can stop drug use they might not be fit to work. However, this is not the idea of the testing with regards to those who get aid. With this thought in mind; that is, many people on drugs will be homeless, hungry, and most certainly increased employment efforts. Consequently, a brief glimpse at crime rise; as well as, more people entering treatment facilities and shelters across the region. It could be really a taxing situation all around. This entry was posted in Adolescence, Black Culture, Children, Community, Culture, Education, Environment, Ethical, Family, Food, Health, Home, Journalism, Local, Men issues, Mental Health, Opinion, Political, Professional Blog, Relationships, Senior Citizens, Unemployment, Women Issues. Bookmark the permalink.